My husband John and I live in Victoria B.C. Canada. After receiving my B.Ed in Art and B.F.A., I taught Art for a number of years. Before teaching I had worked at our Museum in the display department painting flora and fauna and helping to create dioramas. I painted Coats of Arms for a Heraldry Company and painted a number of the backdrops for the Miniature Museum here in Victoria. Weaving became a passion for me, for about twelve years and I gave workshops in tapestry weaving . Then in 1980 I discovered Miniatures. We bought out a miniature shop and I started selling full line miniatures through my home and by mail order. This included my work with porcelain dolls, portrait dolls and original designs for teapots and figurines. 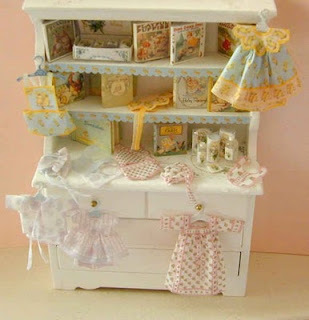 I have given many workshops in most of the miniature arts from porcelain doll making and dressing to painting, fimo items and even a fairy theater. 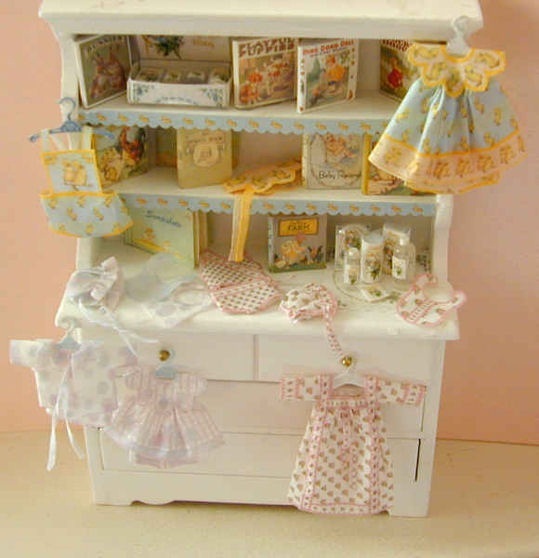 I sold at shows and through my mail order business which was called Daydream Miniatures. More recently I was asked to display one of my miniature dolls at the Museum of Civilization in Hull, Quebec as an original Canadian doll artist, the show ran over five years so that was such an honour. I've also been delighted to have been featured in many publications. After many years looking over a magnifier my back kept acting up and I had to find some other miniatures to design. The computer was the answer, I started web designing and computer graphics mostly using Corel. Brooke Tucker came to our studio to give a workshop and she thought I should write a miniature book. When she returned the following year to give another wonderful workshop, I made her a miniature book instead and that was the start of my miniature book making in 2000. She was such an encouraging miniature artist. Making mini books turned out to be such a joy for me and has been a wonderful experience and a way to combine my love of collecting antique children's books, photo albums and miniatures. I broke my wrist in 2003 and couldn't make the mini books for a while and started designing fabric panel kits on the computer instead. 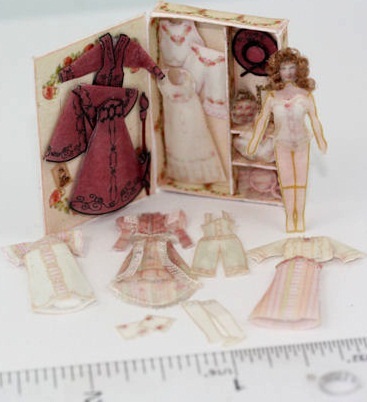 I now sell miniature reproduction books and albums from my originals and fabric panel outfits for mini settings, quarter scale furniture and outfit kits, dolls in presentation box kits and many more items. My husband now helps with my miniature business since he retired and I enjoy working full time with him, we are delighted to sell to dealers too in many locations. We really enjoy every minute of our mini lives together, it give us freedom to travel as well. I enjoy working on my blogs too and recently I have been offering a watercolour workshop using the techniques I enjoy for my mini and larger paintings. I'm very pleased to be a member of AIM.